I am sad to report that Orish of the 90's group 702 has passed away as a result of kidney failure. Prayers go out to her twin sister Irish, her family and the rest of the group. 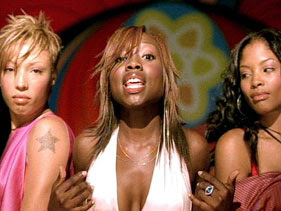 702 made their recorded debut in 1994 on Subway's hit single "This Lil' Game We Play"(Originally, there were 4 members: twins Irish and Orish, along with their sister LeMisha & their cousin Amelia), Orish Grinstead later dropped out of the group and was replaced by their good friend Kameelah Williams.